Reviewers on Amazon have called The Kundalini Guide a"must-have compendium for anyone undergoing transformational process" and commented "It is difficult to find a wise, compassionate, balanced perspective on the true place of kundalini in the spiritual process. This books provides one." 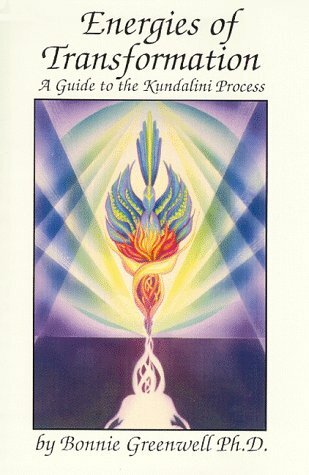 This guide is comprehensive and concise in describing the symptoms, evolution and transformative outcome of kundalini awakening, based on a synthesis of over 2000 consultations with those who have experienced the arising of this powerful life force, either through spiritual or energy practices, or spontaneously. 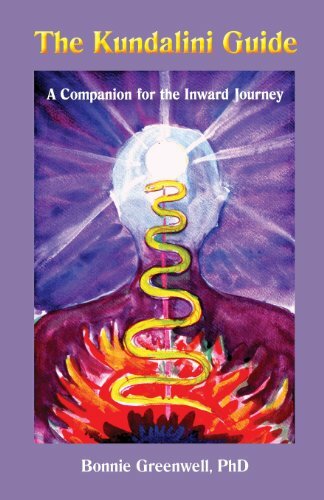 Designed to be helpful to those in spiritual communities as well as those who have spontaneous awakenings, this unique self-help book places kundalini in the context of an awakening process, revealing kundalini as an energetic reorganization of the subtle energies that supports changes in consciousness leading to self-realization. It offers descriptions of the physical, emotional and psychic changes that may occur, and guidance on how to deal with difficulties that may arise. It helps alleviate misconceptions and calms anxiety, offering guidance on how to deal with the many phenomena that the energy arousal may produce. Tom Thompson, founder of the Awakened Heart Center for Conscious Living, advises "For those sincerely interested in waking up and who are involved in a kundalini practice, I highly recommend the chapter 'Where to Stand'. The author's experience very much reflects my own. After many years of committed kundalini practice and profound experiences, there was the sudden and direct realization that the Truth I was searching for is already Here. Kundalini is its dynamic and playful expression. Kundalini is the play of consciousness." He adds "The kundalini process spontaneously awakened in some of the people who come to The Awakened Heart Center. Because it can be such a profound and transformative process, it can be difficult for it to be held in the proper perspective. I now have one well-written and well-balanced book that I can recommend to everyone without hesitation. Thank you, Bonnie!" "This book has everything explained, clearly and succinctly, for the person looking for clarity about kundalini awakening. I highly recommend it to anyone who has no idea what kundalini is or what an awakening means. But it is also very useful for those who have awakened and need to fill in some basic face and details about the phenomena." "I met Dr. Greenwell recently, and she has a deep and common sense understanding of this topic, having had years of interviews with people who have been through this life-altering process. She lays it all out for everyone to understand with examples and a review of commonly asked questions. It could be a primer on the topic. The focus is on practical down-to-earth advice and information. The same information could be in some ancient Indian text, but to a Western reader it would be incomprehensible; Bonnie has rectified this problem by covering the thousand questions one would have on this subject in simple straight-forward language…Start here if you really want to get a clear picture of the phenomena of kundalini." "I've been practicing yoga for about ten years now, mostly on my own. I've taken numerous workshops and an intense instructors course, and it has helped me develop a practice I'm very comfortable with. About six months ago I began having intense rushes of energy surging up my back after I'd finished my routine and was in savasana. Don't want to get into a full description here of what took place but just to say I wanted to know what this was all about. I talked to a yoga instructor who said it sounded like kundalini, and recommend I read "Kundalini Rising". This is a great book, with takes and perspectives of people who have studied and experienced kundalini. But the piece I liked best was by Bonnie Greenwell and I saw she had also written "The Kundalini Guide," available on line and digitally. When I read it I found it was all I had hoped for, gave me a very good understanding of my experience and where I should go next with it. Bonnie traverses comfortably through both Eastern and Western aspects or understandings of kundalini, and she has a writing style that anyone would be at ease with. She is fully qualified to provide us with this guide, having talked literally with thousands of people who have had the experience. I highly recommend it to anyone who seeks an objective, helpful explanation of what kundalini is and ways to work with it." "This book is a must for those on the spiritual path -- we are experiencing new energies and states of being. sharing the experiences of others and of how to manage these energy surges was very enlightening and comforting." The Awakening Guide is a unique handbook that is immensely helpful to those who have experienced a spiritual awakening and are surprised to discover that the wondrous realization is not the end of the awakening but only the beginning of a new dimension of transformation. It offers a rare perspective of what it means to awaken, how the desire for awakening comes to fruition, the cul-de-sacs that keep a person stuck, and the unfolding of realization. "Like her Kundalini Guide, The Awakening Guide is both for teachers guiding others in the awakening process and for the student in process. I can see the day when a new student walks into a meditation center or satsang group and is immediately handed these two books. 'Here. You are going to need these someday. It is going to be very, very different than you think.' These books are much needed guides along the way." "Thank you for writing this book. I will refer to it again and again because it has a realistic view of the spiritual path to awakening. There is a lot of misinformation about what liberation is about. I loved the Kundalini book also." 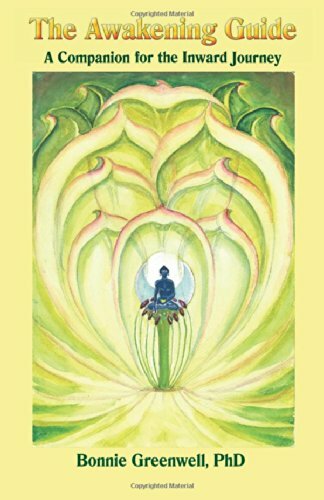 "In this perfect companion to her earlier volume, The Kundalini Guide, author Bonnie Greenwell graces us with a remarkably clear and accessible roadmap of the awakening process. The language is layered and rich, yet piercingly direct and infused with the power of transmission. This book is a rare gift flowing out from Greenwell's extraordinary insight and saturated with a brand of compassion and wisdom that can only be gained through direct experience. I am reading slowly, prayerfully, and gratefully." "It felt as though the author was standing in the centre of a diamond prism, illustrating an infinite number of simple paths and angles through which the gift of selflessness can be attained. This is not to understate the recognition that she gives to the difficult task of cleansing and deconstruction that must occur before the ego finally releases its grip within the minds and hearts of some aspirants (myself included). Beautifully conveyed, with her personal experience and empathy shining through brilliantly and compassionately to all those who are criss-crossing various roles of duality and negotiating internal conflict while nevertheless immersed within the Kundalini journey, I'm reminded of the words: "I trace the rainbow through the rain" in the George Matheson Christian hymn: "Oh Love that wilt not let me go." Truly, a transcendent mood of calm sweeps over me whenever my eyes glide over the supportive words and phrases of this book. So many nuances!" This comprehensive exploration of the kundalini process, designed as a support for those who are experiencing the energies that accompany spiritual awakening, has helped thousands of people and been printed in six countries. Originally published in 1990, and revised in 1995, it was based on Dr. Greenwell's research and remains a foundational book regarding this mysterious aspect of the awakening experience. The book describes seven categories of phenomena related to kundalini, provides Eastern and Western perspectives, includes 23 case histories, and gives practical guidance for people who are in the kundalini process, whether through intention or accident. However, it is currently out of print and in the process of being revised and republished in 2015 on Amazon. Look to this site for an announcement of the release date.